As a seasoned visitor to Stonehenge and Windsor Castle, I am always on the look-out for new tours to these great attractions. I want to see if they can offer anything new and interesting to the existing popular tours. 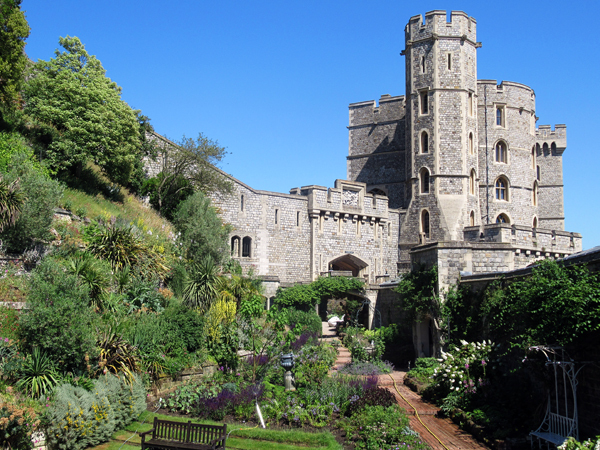 The new Golden Tours extended Windsor Castle and Stonehenge tour was one I wanted to check out. 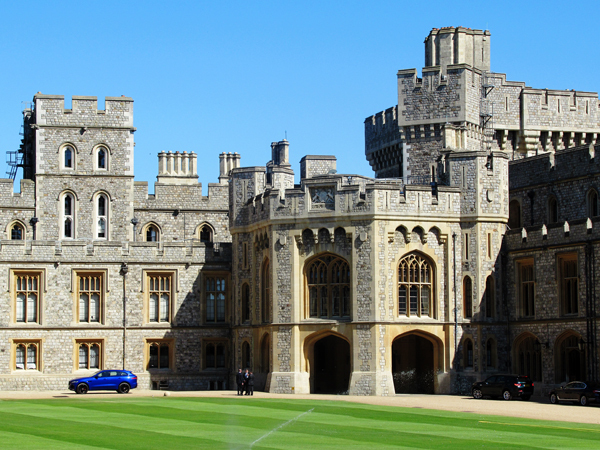 It is fair to say that you are spoilt for choice if you’d like to visit Windsor Castle and Stonehenge. So, what made me set my alarm far earlier than I would like and enthusiastically join this particular tour? Well, for me the phrase ‘extended time at Windsor’ proved to be the bait that hooked me. 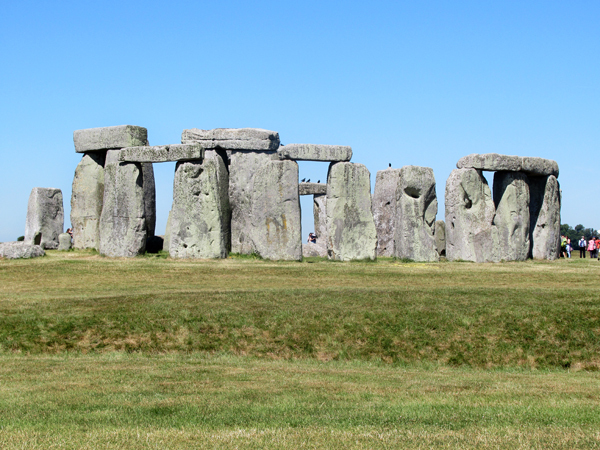 To explain, all other day tours that visit Stonehenge and Windsor also visit at least one other destination. On these, typically you would be in Windsor for roughly two hours. Are 2 hours long enough for such a major attraction? The Windsor website suggests you need at least 3 hours for starters. I am one of those visitors who enjoys reading all the information boards and taking my time when visiting. I suspected two hours would not be long enough. So, at the height of the London tourist season, at the end of June, I put this promise of a more leisurely paced visit to the test. 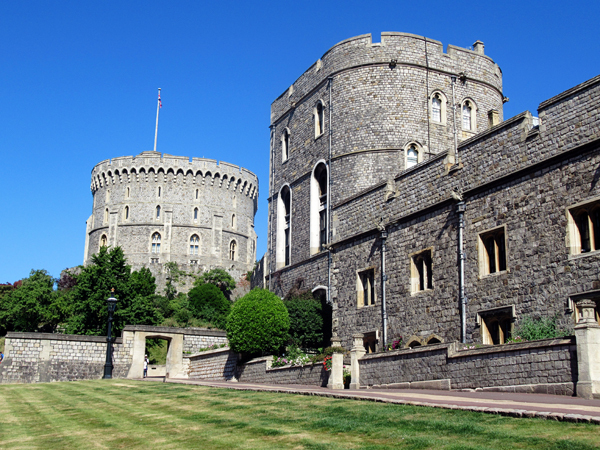 The extended visit to Windsor Castle and Stonehenge tour is operated by Golden Tours. They are one of the main day tour operators in London. The tour is new this year and nobody else offers this itinerary. Most of the main tour operators set out from London Victoria. Golden Tours are the only ones who depart from the Green Line Coach Station directly behind Victoria railway and Underground station. It is worth noting there are no public toilets at the Green Line coach station. So with a two-hour coach journey to Stonehenge ahead of you, it is worth visiting Victoria station beforehand if needed. 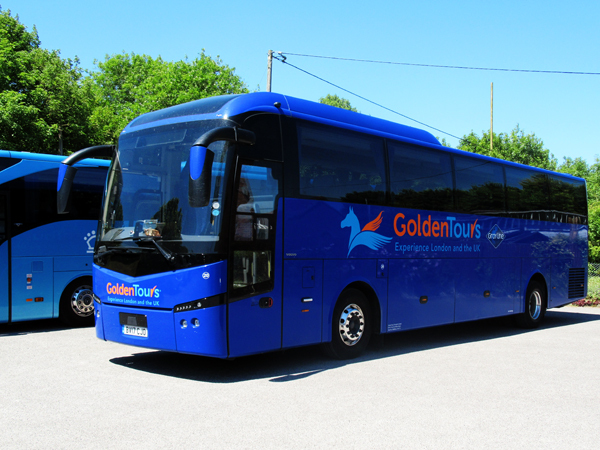 The Golden Tours coaches are modern air-conditioned touring coaches with a toilet, wi-fi and an airline-style seat-back console. There is also a USB power point for your mobile. There are no seat allocations, so you are rewarded by arriving early if you like to choose where you sit on the coach. We departed Victoria on-time at 8am. Pete, a professionally qualified guide, resisted launching into a long lecture of facts and figures about the tour. Instead he warmed up the group with a few humorous lines and some interesting facts about this area of London. We were soon leaving London behind, with many taking the opportunity for a snooze after the early start. It’s just under 2hrs to Stonehenge and about 20 minutes prior to arrival Pete was giving a basic grounding on what Stonehenge is all about. We arrived at Stonehenge at 9.50am and were told the coach would be leaving at 11.45am. So that gave us virtually 2 hours at Stonehenge, this is around 30 minutes longer than many other tours offer. 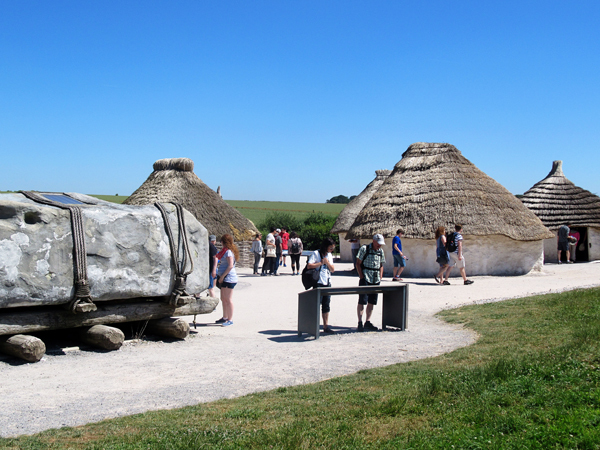 Arriving at Stonehenge, you are given your official audio tour device as you leave the coach. You are then led straight to the shuttle bus to Stonehenge itself. 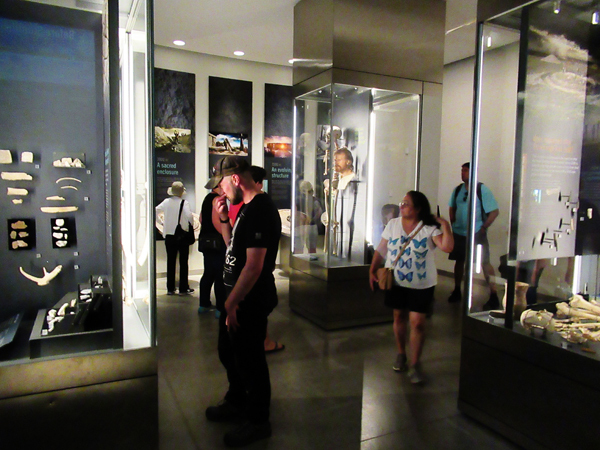 Independent arrivals can choose whether they take the shuttle or visit the Stonehenge exhibition first. This gives them the opportunity to get clued up on Stonehenge before going to view it. Coach arrivals do not get that choice which seems a shame to me. 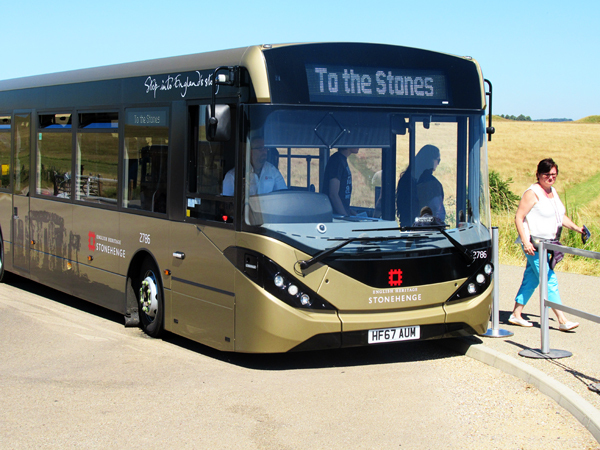 So do allow time to get back on the shuttle to the visitor centre and see the Stonehenge exhibition, gift shop and café. I have always found the best most complete pictures of Stonehenge are from the back, on the other side of the monument from the arrival point. This puts the sun behind you for pictures with less haze, although all sides of Stonehenge can look equally magical once you are there. 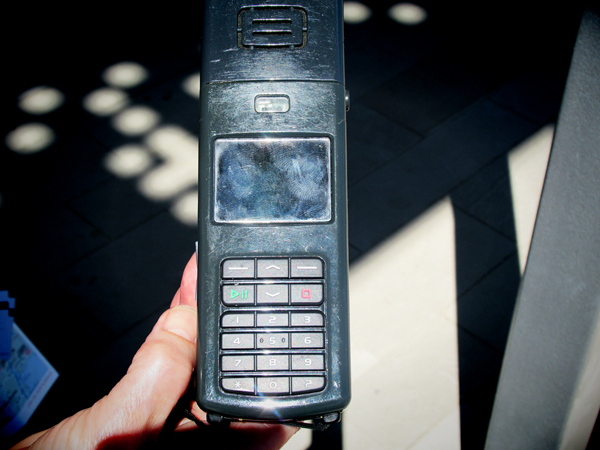 There are no toilets or shelter out at the monument so do come prepared. I was blessed to be there on a glorious sunny day, but Stonehenge is very open and can be a lot colder than London, especially outside of the summer months. I have been to Stonehenge on many occasions at all times of the year, so do know it very well. It does however always have an effect on me that is hard to explain. It is one of those magical places that just seems to reach out to any visitor in a mysterious way. That may sound overly romantic to some. Back at the visitor centre, I availed myself of some rock cakes, obviously the most popular line in the café. The gift shop has everything you could want with images of Stonehenge on, there is even Stonehenge beer on offer. We left Stonehenge a few minutes late but were pulling into Windsor coach park at 1.20pm. Pete announced the coach would be leaving sharp at 5pm, so that gave me over 3.5 hours in Windsor. The tour was delivering its original promise. A nice feature offered by Golden Tours is that they give you a basic lunch box, to eat on the journey between Stonehenge and Windsor. This helped me enjoy the maximum amount of time sightseeing in Windsor without worrying about where to eat. In the same vein by visiting Stonehenge first and Windsor Castle in the afternoon, it was not too crowded, even for peak season. All the other tours visit Windsor first. This is because they have three destinations to fit in and Windsor Castle closes entry at 4pm. Therefore, they have no other option. The only downside to visiting Windsor in the afternoon is that I missed the Changing of the Guard at 11am. 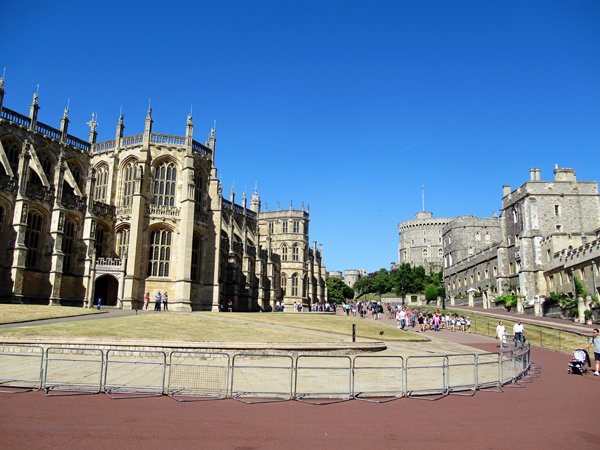 At both Stonehenge and Windsor Castle, you are left to your own devices. You are given an audio guide by the attraction and then you can take it all at your own pace. This is something I really appreciated as I listened to every option the guide offered, even as other members of the tour disappeared off. With the recent Royal wedding between Harry and Meghan, I could see there was more interest than in previous years. It was lovely to see such a great attraction in its own right, now has another major reason for people to visit. I left Windsor Castle 30 minutes before the coach was due to leave, so my main reason for taking this tour was fulfilled. The tour runs Wednesday, Friday and Sunday throughout the year. Bear in mind that St George’s Chapel, a big part of any visit to Windsor Castle is closed on Sunday. 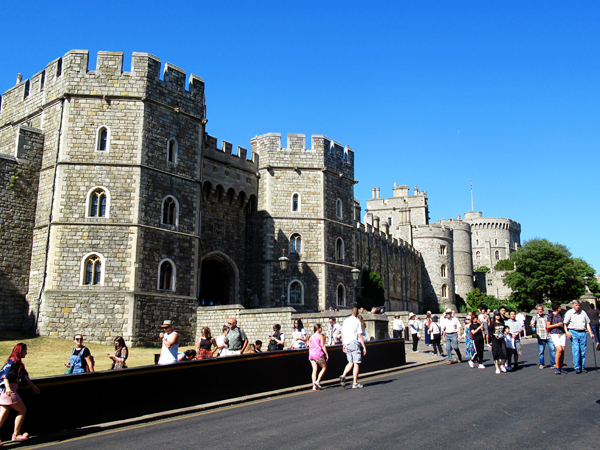 For many, there will also be time to explore Windsor and Eton as well or perhaps have a drink or meal on the riverfront. What I liked most about this tour was it was up to you how you spent your time. We left Windsor on time at 5pm and I left the tour bus at Gloucester Road in Kensington and was on the underground at 6.20pm. The bus carried onto Victoria where the tour ended. Overall, the choice of tour proved a success for me, delivering on a more leisurely paced tour than alternatives. If you have a similar preference for slower paced tours with more time to linger this may well be the tour for you. 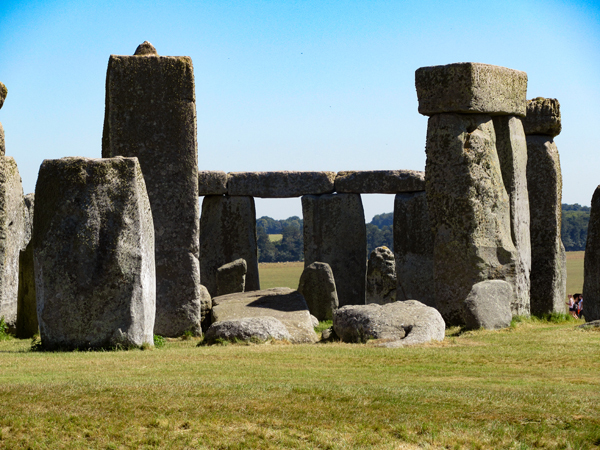 Please do share your experience of Windsor Castle and Stonehenge with us at London Toolkit in the comments section. We’d love to hear from you. If you’ve taken a picture of Windsor Castle or Stonehenge just use the hashtag #londontoolkit in your social media feed for a chance to be featured. Ready to experience this tour?